One of a kind custom home on 2.5 acres!! Single story and over 3200 SF. Quality block wall and wrought iron fencing with power gate that the own paid over $150K to have installed. Includes a 4-car garage AND 20x40 shop! Also has a huge covered patio. 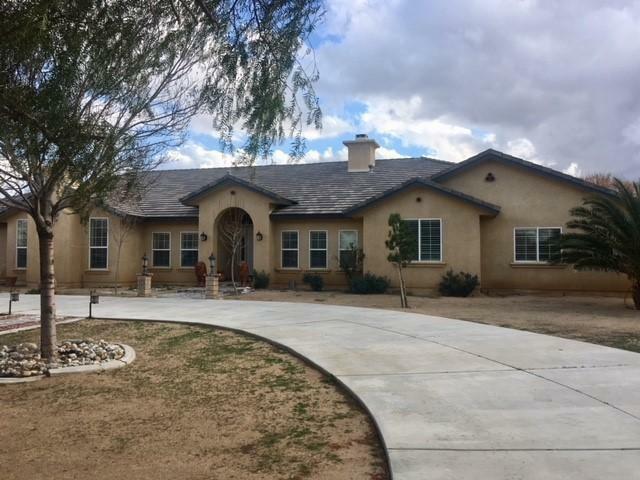 This home has so much to offer with beautiful tile flooring and grand entrance as you walk into the formal living room. Includes a warm and inviting fireplace with high ceilings.The large formal dining has plenty of light. There is a beautiful kitchen, center island with custom granite work and high-end appliances. All the bedrooms are good size and the master includes... well, call for a private showing. Too much to list!